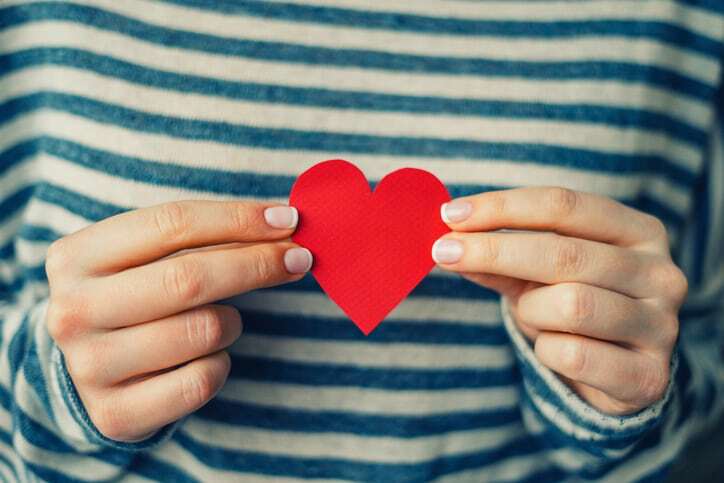 Nutrition Recommendations Your Clients Can Take to Heart - Becky Dorner & Associates, Inc.
February’s focus on heart health is near and dear to me. My loving dad had heart disease from the time I was 3 years old and died 10 years later, at age 56. I was only 13 at the time, and it changed my life. A cherished uncle followed, and then another uncle (my dad’s brothers). Years later my mom had a heart attack, which was the beginning of her health decline at age 80. Then, a few years ago, I was challenged with a heart arrhythmia – I was the same age my dad was when he died. I never thought I’d see the day when I was the heart patient! But I was fortunate to have great care at the Cleveland Clinic where an ablation procedure cured my symptoms. However, I am careful to follow lifestyle habits to avoid future issues. My story is not unique – more than 1 in 3 adults have at least one type of cardiovascular disease (1). 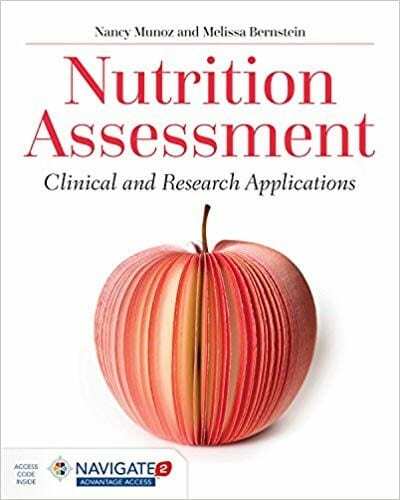 Anyone who knows me, knows that I have focused my career on improving nutrition care for older adults. Well, I celebrated a milestone birthday last year – and I’m getting closer to being an “older adult” myself, so my health is at the center of my thoughts. Just because I’m a registered dietitian nutritionist, doesn’t mean that I’m immune to health issues – or bad habits for that matter. Heart month is a time to renew the commitment to heart-healthy lifestyle habits. I hope this information will help you coach your clients to make changes to improve both the quality and quantity of their lives – so that their children can enjoy them for many years to come. About 1 of every 3 deaths in the US is a result of heart disease, stroke or other cardiovascular disease. There are some risk factors that cannot be controlled: age over 45 for men, over 55 for women, heredity (including race), or previous stroke or heart attack. But there are many risk factors that can be controlled: hypertension, tobacco smoking, hypercholesterolemia, physical inactivity, overweight/obesity, and diabetes. (2) Almost half (47%) of Americans have high blood pressure, high cholesterol, or are smokers (3), risk factors that can be addressed through lifestyle change. Encourage your clients to know their numbers. Blood lipids: Goal levels vary for each individual depending on other heart disease risks (4) and treatment is recommended accordingly. Blood pressure: 120/80 is considered normal. A BP of 130/80 is now used for a diagnosis of hypertension (5). The American Heart Association (AHA) encourages people to follow “Life’s Simple Seven” manage blood pressure, control cholesterol, reduce blood sugar, get active, eat better, lose weight, and stop smoking (8). 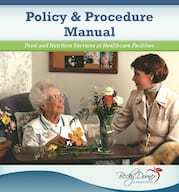 The detailed information below provides more specific guidelines and goals your clients can aim for. About 90% of Americans over age 2 consume too much sodium. (12) The Dietary Approaches to Stop Hypertension (DASH) eating plan is well known as an effective intervention for lowering blood pressure. There is an abundance of information about the DASH eating plan available from the National Heart, Lung, and Blood Institute. It’s also helpful to reduce stress. Encourage your clients to take time out each day to relax, renew, and reenergize: go for a walk, do some deep breathing, enjoy their favorite music, yoga, meditation, a hot bath, or talking to a friend. Even 10-15 minutes a day can be helpful. Educate clients on the benefits of choosing healthy polyunsaturated fats found in liquid vegetable oils such as canola and soybean oil, and monounsaturated fats found in nuts, nut butters, olives, olive oil and avocados. The American Heart Association recommends 5-10% of daily calories from omega fatty acids. (13) Omega-3 fatty acids can help lower triglyceride levels, and can be found in fatty fish, walnuts, flaxseed, eggs. (13) Vegetable oils are major sources of omega-6s. Substitute these over solid fats and tropical oils (coconut, palm and palm kernel oil). Encourage reduced portions of foods high in saturated fats, which have been linked to heart disease. Cut visible fat from meat, remove skin from poultry, prepare foods using low fat cooking methods (baking, broiling, roasting), choose low fat or no fat dairy products, and read labels to identify healthier foods. This is especially important for people with diabetes, but important for others as well. Researchers have recently made the connection between high levels of sugar intake and heart disease. One study documented a 38% higher risk of CVD mortality for people who consumed 17-21% of their calories from added sugars compared to those who consumed 8% of calories from added sugars. This was largely consistent across age group, gender, healthy eating index, BMI or physical activity level. (14) This study indicated that the average sugar consumption of adults in the US is 22 teaspoons of sugars each day, which is more than 3 times the recommended level. Major sources of added sugars in the US diet can be found here. Fitness trackers or pedometers can motivate clients and keep you informed of their progress. I love the Fitbit feature that reminds you to do a minimum of so many steps every hour! It’s especially nice for people who work in sedentary jobs. Sadly, US adults only consume vegetables about 1.6 times per day and fruit about 1.1 times per day. (18) Most Americans do not follow a healthy eating pattern, and as a result about 36% of US adults are obese (19). 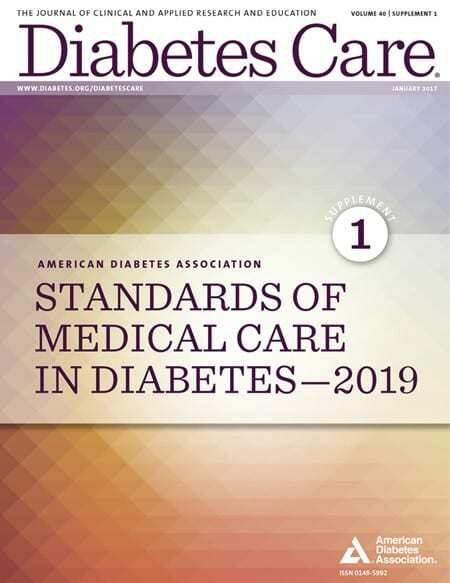 Start with encouraging individuals to follow a healthy eating pattern such as USDA Food Patterns, DASH-style diets, Mediterranean-style diets, Healthy Vegetarian Food Pattern as outlined in the Dietary Guidelines 2015-2020. 6. Lose weight (if overweight). There are many benefits to losing weight and maintaining a healthy weight including better control of hypertension, blood sugar, and hypercholesterolemia. (20) Even a 10 pound weight loss can lower heart disease risk. There is an abundance of good information on this subject available so I won’t go into detail here. Controlling portion sizes of all foods is one simple way for your clients control their calorie intake. Unfortunately 15% of US adults still smoke (21). Encourage your clients to stop smoking and refer them to a good smoking cessation program. One more note: People sometimes alter doses or stop taking medications altogether which can cause negative health outcomes. Encourage your clients to take medications as prescribed, and talk to their doctor if they have concerns. It takes time to develop new healthy habits. Encourage your clients to take one step that they believe they can be successful with, and move forward from there. The most important key is that they believe they can make changes that become lifelong commitments for better health and quality of life. 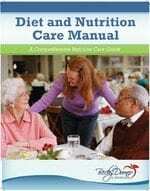 ©2019, 2018 Becky Dorner & Associates, Inc.
For more information on this topic, refer to Diet and Nutrition Care Manual: Comprehensive Edition from Becky Dorner & Associates, Inc.
Becky Dorner, RDN, LD, FAND is widely-known as one of the nation’s leading experts on nutrition, aging and long-term health care. Her company, Becky Dorner & Associates, Inc. is a trusted source of valuable continuing education and resources dedicated to improving quality of life for older adults. 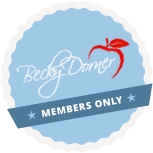 Visit beckydorner.kinsta.com and sign up for the free membership. Benjamin EJ, Blaha MJ, Chiuve SE, et al. Heart disease and stroke statistics—2017 update: a report from the American Heart Association. Circulation. 2017;135:e1–e458. US Department of Health and Human Services. Healthy People 2020: Heart Disease and Stroke. https://www.healthypeople.gov/2020/topics-objectives/topic/heart-disease-and-stroke. Accessed February 12, 2018. Centers for Disease Control and Prevention. Heart Disease Risk Factors. https://www.cdc.gov/heartdisease/risk_factors.htm. Accessed February 12, 2108. My Life Check-Life’s Simple 7. American Heart Association web site. http://www.heart.org/HEARTORG/Conditions/My-Life-Check—Lifes-Simple-7_UCM_471453_Article.jsp#.WoGHWkxFxPa. Updated October 5, 2017. Accessed February 12, 2018. Stone NJ, Robinson JG, Lichtenstein AH, et al. 2013 ACC/AHA Guidelines on the Treatment of Blood Cholesterol in Adults: A Report of the American College of Cardiology/American Heart Association Task Force on Practice Guidelines. Circulation. 2014;129:S1-S45. Doi:10:1161/01.cir.0000437738.63853.7a. New ACC/AHA High Blood Pressure Guidelines Lower Definition of Hypertension. American College of Cardiology web site. http://www.acc.org/latest-in-cardiology/articles/2017/11/08/11/47/mon-5pm-bp-guideline-aha-2017. Published November 13, 2017. Accessed February 12, 2018. Mozzafarian D, Benjamin EJ, Go AS, et al. Heart Disease and Stroke Statistics-2015 Update: a report from the American Heart Association. Circulation. 2015;e29-322. High Blood Pressure Fact Sheet. Centers for Disease Control and Prevention web site. Reviewed June 16, 2016. Accessed February 12, 2018. Jackson SL, Coleman King SM, Zhao L, Cogswell ME. Prevalence of sodium intake in the United States. 2016;64(52):1394–1397. Good Fat Versus Bad Fat. The American Heart Association Go Red for Women website. https://www.goredforwomen.org/live-healthy/good-fat-versus-bad-fat/. Accessed February 9. 2018. Yang Q, Zhang Z, Gregg EW, Flanders WD, Merritt R, Hu FB. Added sugar intake and cardiovascular diseases mortality among US adults. JAMA Intern Med. 2014 Apr;174(4):516-24. doi: 10.1001/jamainternmed.2013.13563. Accessed February 9, 2018. Artificial Sweeteners. Harvard T.H. Chan School of Public Health web site. https://www.hsph.harvard.edu/nutritionsource/healthy-drinks/artificial-sweeteners/. Accessed February 12, 2018. S. Department of Health and Human Services. 2008 Physical Activity Guidelines for Americans. https://health.gov/paguidelines/guidelines/summary.aspx. Accessed February 12, 2018. US Department of Health and Human Services. Healthy People 2020: Physical Activity. https://www.healthypeople.gov/2020/topics-objectives/topic/physical-activity. Accessed June 9, 2017. Centers for Disease Control and Prevention. State Indicator Report on Fruits and Vegetables 2013. https://www.cdc.gov/nutrition/downloads/state-indicator-report-fruits-vegetables-2013.pdf. Accessed February 12, 2018. Ogden CL, Carroll MD, Fryar CD, Flegal KM. Prevalence of obesity among adults and youth: United States, 2011–2014. NCHS Data Brief. 2015 Nov;(219):1-8. Losing Weight: What is Healthy Weight Loss? Centers for Disease Control and Prevention web site. Updated January 29, 2018. Accessed February 12, 2018. Jamal A, King BA, Neff LJ, Whitmill J, Babb SD, Graffunder CM. Current cigarette smoking among adults — United States, 2005–2015. 2016;65(44):1205–1211.